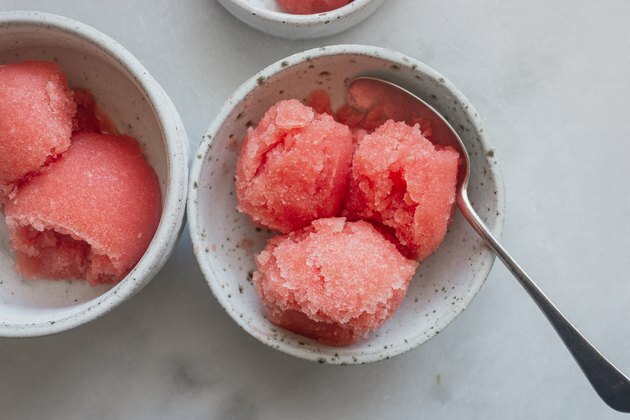 Watermelon Sorbet is the most perfect sweet and frozen treat for the summer! This sorbet is a guaranteed crowd pleaser that comes together quickly and easily using only a few ingredients–and it doesn't even require an ice cream machine to make it. 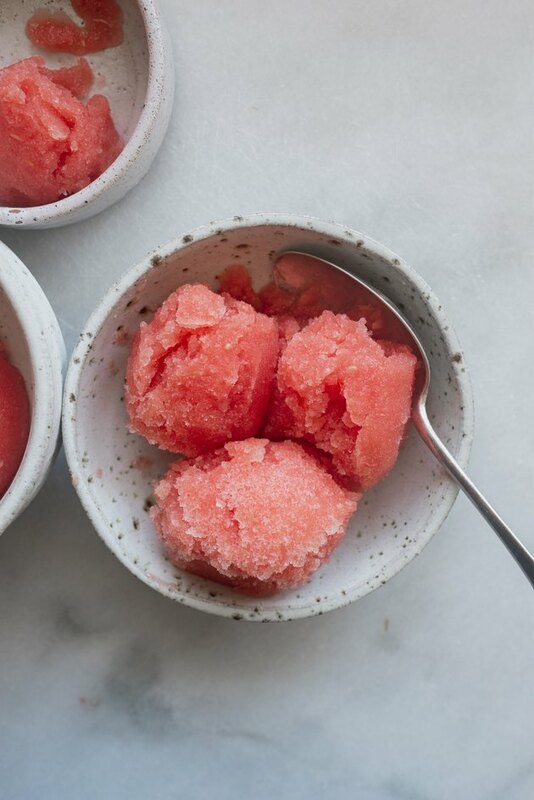 Make this refreshing sorbet now! 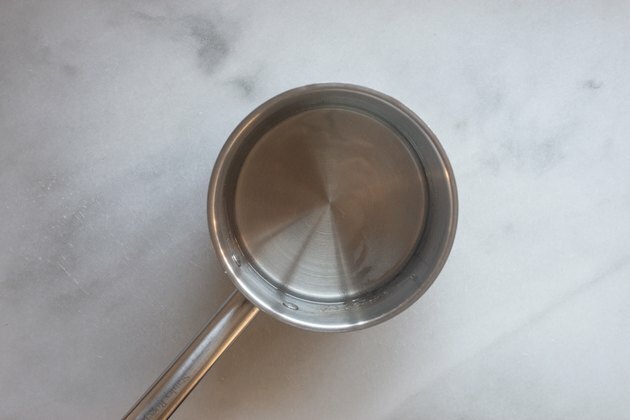 In a small saucepan, combine the sugar and water over medium heat. Bring the mixture to a rolling boil and allow it to boil out for 5 minutes to form a thick syrup. Turn off the heat and set aside. 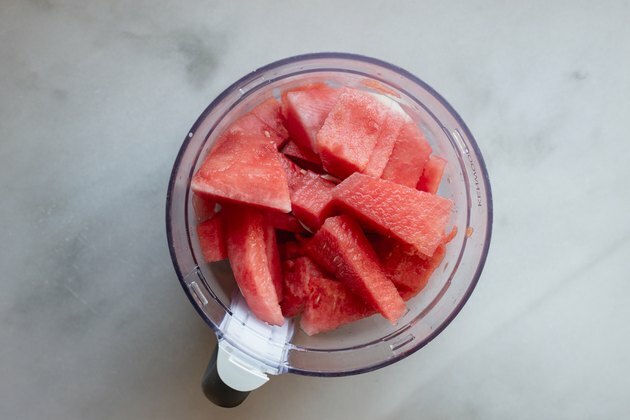 Place the cubed watermelon into a large blender or food processor. Blitz on high speed until it forms a smooth juice. 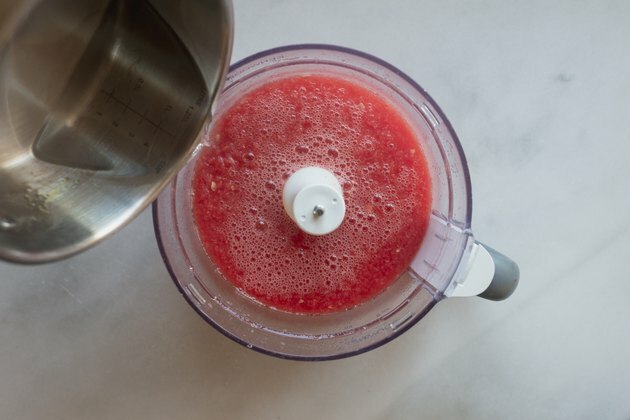 Pour the watermelon juice into a large mixing bowl. Stir in the lemon juice and tequila, gin, or vodka, if using. Pour the sugar syrup into the bowl with the watermelon juice. Stir evenly until combined. 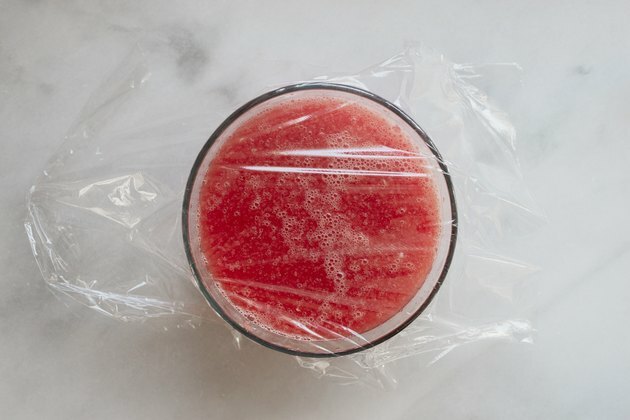 Pour the sorbet into a large dish or container and cover it with a layer of plastic wrap. Freeze until almost firm, about 4 to 5 hours. Remove the sorbet from the freezer. Use a large metal spoon to break it up into rough chunks. Transfer the chunks back into the blender or food processor. 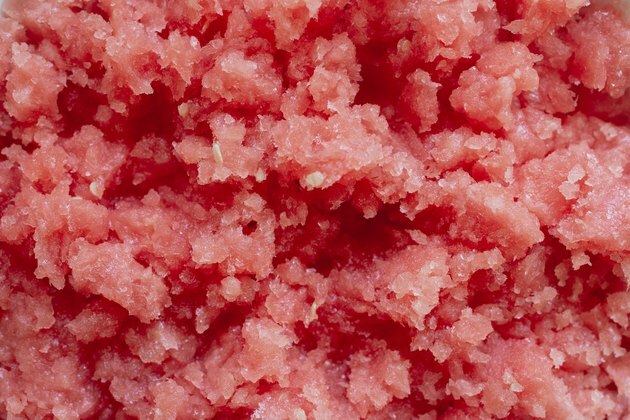 Quickly process until the sorbet is soft and icy, no more than 30 seconds. Pour the sorbet into a metal loaf tin. Cover it with a layer of aluminum foil and re-freeze until firm, about 3 hours. 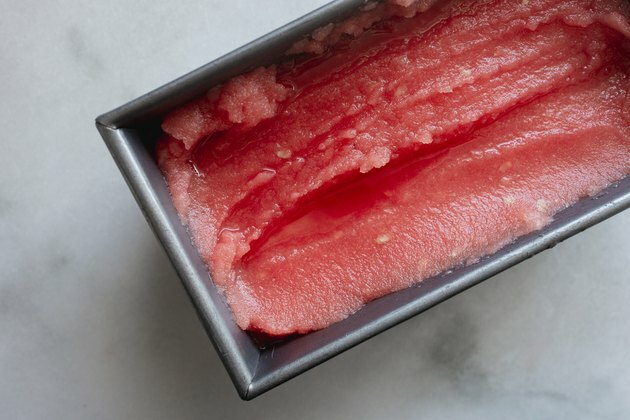 Serve and enjoy the Watermelon Sorbet! Keep it covered and stored in the freezer for up to 2 months.